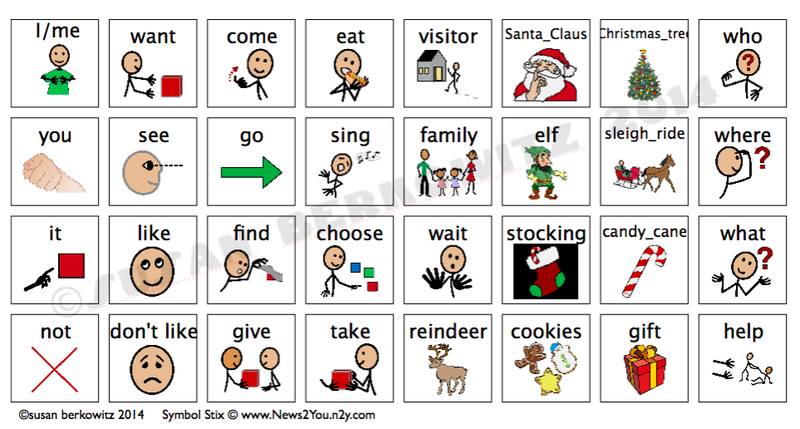 Classroom Freebies Too: What Does Your AC User Want to Say About the Holidays? What Does Your AC User Want to Say About the Holidays? Holidays continue to be a great conversational topic. Classrooms continue to talk about traditions and customs, families plan activities and visits, and, of course, everyone asks about what gifts children/students want to get. Christmas and Hanukkah have both become holidays that revolve around giving - and receiving. For many kids it’s all about the presents. So, in the spirit of offering communication boards for your users to talk about the holidays here are two communication boards for the holidays. On both of them, the vocabulary revolves more around activities and items of interest than about "the gifts." 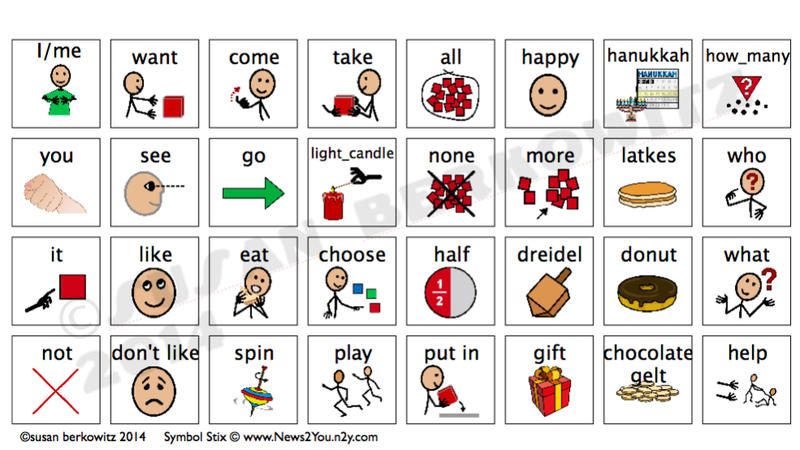 The Hanukkah board has sufficient vocabulary to play a game of dreidel, which kids everywhere love to play. I apologize to anyone whose holiday celebration I have missed. I just don’t know about them all. Have a happy holiday - whichever you celebrate - or just a warm and happy winter if you don't celebrate at all. Stay warm wherever you are. I'll be down the road at the beach.